Crime spreads across the globe in this new collection of short stories from the Crime Writer's Association, as a conspiracy of prominent crime authors take you on world mystery tour. Highlights of the trip include a treacherous cruise to French Polynesia, a horrifying trek in South Africa, a murderous train-ride across Ukraine and a vengeful killing in Mumbai. But back home in the UK, life isn't so easy either. Dead bodies turn up on the backstreets of Glasgow, crime writers turn words into deeds at literary events, and Lady Luck seems to guide the fate of a Twickenham hood. Showcasing the range, breadth and vitality of contemporary crime-fiction genre, these 28 chilling and unputdownable stories will take you on a trip you'll never forget. 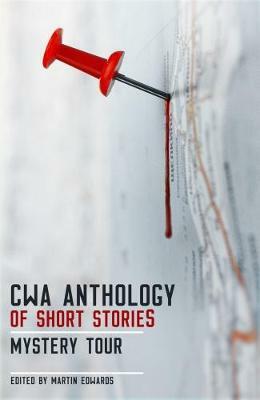 Goodness, my passport has been well and truly stamped after my round the world mystery tour with the "CWA Anthology of Short Stories" published by Orenda Books!